Abompe is the current bauxite beadmaking site in Ghana and the hills of the Kwahu Plateau above the village are pocked with hundreds, perhaps thousands, of pits dug in search of the raw material. 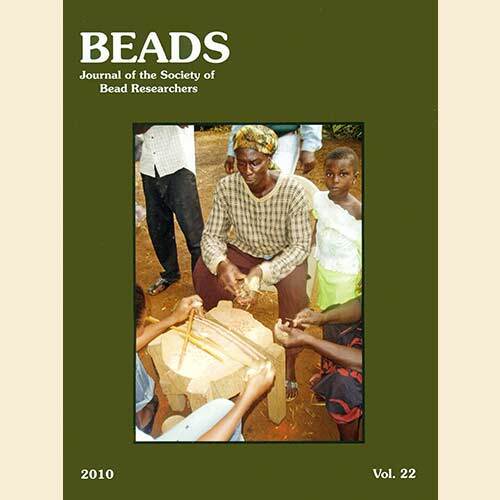 To determine the age of the beadmaking industry in the region, people in Abompe and other villages were interviewed and related stories that suggest the first beadmakers were following the example of people in or around Bepong, a village on the plateau above Abompe. Three areas of bauxite pits on the Kwahu Plateau were investigated to see if there was physical evidence of ancient mining. Caves where miners occasionally stay overnight were explored and evidence of bead production in the form of chipping waste was found. Pit counts by transect at Odumparara Bepo, the Abompe mining area, suggest the presence of possibly as many as 4,700 pits. These appear to have been created in the past 100 years. Burials excavated on the north coast of Peru were associated with 16th-century European glass beads as well as shell and stone specimens of local manufacture. The beads were strung as necklaces, bracelets, and anklets, often combining several varieties of European beads with local products. The glass beads as well as the other grave goods suggest that the burials date to the first part of the 16th century, probably between 1530 and 1560. A variety of Lucayan shell, stone, and coral beads as well as beadmaking waste was recovered from several sites on San Salvador, Bahamas. Following detailed analysis, comparisons to other beadmaking sites in the Greater Caribbean region indicate that fabrication, material, color preference, and even general forms are similar across great distances from the Maya region to the Greater and Lesser Antilles and the Bahamian Archipelago. In some cases, beads appear to have been made at the household level (Middle Pre-Classic Maya, Post Saladoid Lucayans), although certain stratified societies (later Maya, Classic Taíno) seem to have exerted more control or monopoly over bead manufacturing at various times. The beads were predominately white and red in color. The symbolism of these colors is discussed. 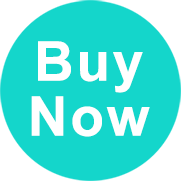 The Beads That Did Not Buy Manhattan Island, by Peter Francis, Jr. The purchase of Manhattan Island is an unrecorded event dressed in mystery and myth. An examination of the myth and of its history corrects misconceptions that are nearly as ancient as the purchase. The competition within the slave trade during the 18th century forced slave traders to search for an assortment of barter cargo that would attract the preferential attention of the African suppliers of slaves. An enterprising group of Liverpool slave traders that formed William Davenport & Co. rose to the occasion and in three years became the supplier of half of all the glass beads re-exported to Africa from England. An analysis of barter values in Bonny, West Africa, reveals that glass beads were one of the main categories of trade goods of great interest to the African slave traders. The trade beads were primarily the products of Venice where the glass bead sector grew from at least 7% to over 70% in value of total Venetian glass exports from the late 16th to the late 18th century. Ukrainski narodni prykrasy z biseru (Ukrainian Folk Beaded Adornments), by Olena Fedorchuk (2007), reviewed by Maria M. Rypan.